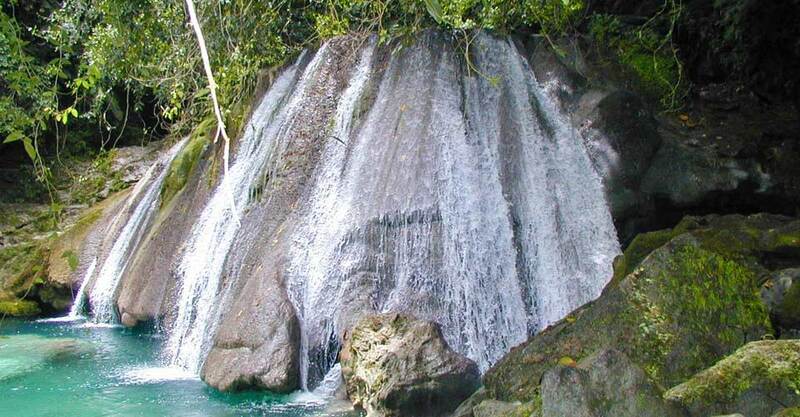 Reach Falls was discovered by runaway slaves from plantations in the neighboring parish of St Thomas who sought refuge in the hills of the John Crow mountains. 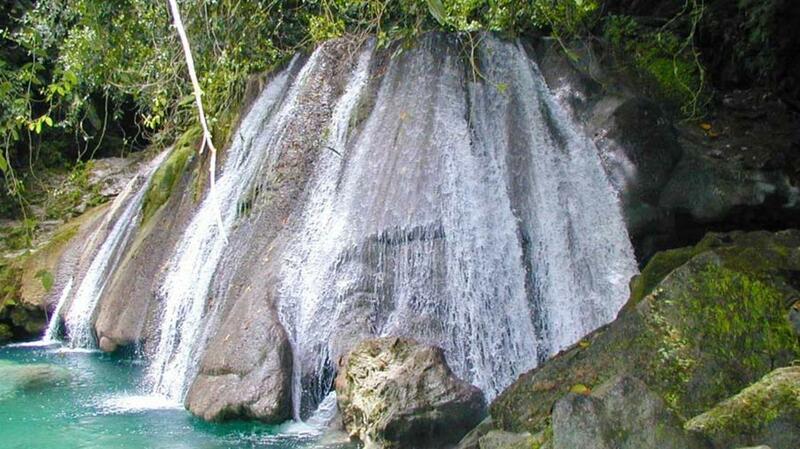 Reach Falls is a luxurious eco attraction hidden in the Montane Forrest on the John Crow Mountain Range. The attraction offers a unique blend of comfort, relaxation, and adventure. Reach Falls is centred on an exotic waterfall cascading down a rock face into an emerald river pool. The lush greenery from the Montane Forrest and the refreshing pool beneath the cascading waterfall promises a memorable experience. Reach Falls offers the opportunity to enjoy the cascading waterfall, a picnic area, and a guided tour upstream the Driver’s River (which feeds the waterfall) featuring a visit inside our legendary underwater cave.